Life Family Practice Center was founded by Dr. Nelson Kraucak in 1995. 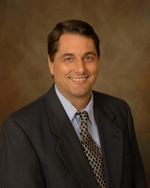 Dr. Kraucak is Board Certified in Family Practice and is a fellow of the American Academy of Family Practice. Dr. Kraucak has advanced certificates by the American Board of Holistic Medicine, International Board of Anti-Aging and Longevity Medicine, Heavy Metal Detoxification and Immuno Modulation. He did his Internship in Internal Medicine and Residency in Family Practice at Albert Einstein Bronx-Lebanon Hospital Center in New York City.